Don't miss the latest happenings out of Mt. Hood Skibowl, including new lifts, terrain expansions, weather, photo galleries, infographics and current events skiers and mountain travelers should know about. Stay up-to-date on Mt. Hood Skibowl news and events by clicking on articles from the list below or page through to see coverage from the entire ski season. One of Oregon's finest microbrews can be found at the base of Mt. Hood. Take in a beer and enjoy great aprés food at the Ice Axe Grill. 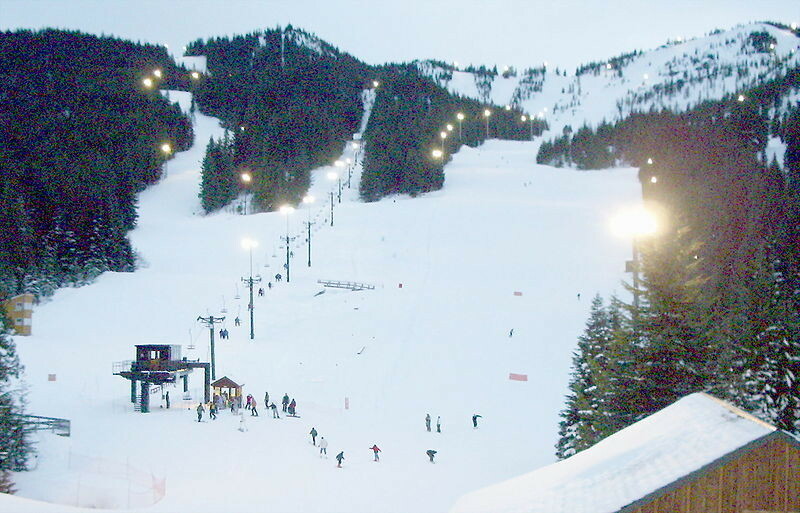 Snow finally arrived to bump open Washington and Oregon ski resorts. Winter had one last gasp but spring will now settle in for the West Coast mountains. The onslaught of cold and will continue for the Cascades this week. Snowy weekend ahead for the west coast mountains. A much colder pattern is on the way for the West with the parade of storms continuing for the Cascades and a week of drying out for California. A northern storm track will continue to bring snow to Washington State and British Columbia this weekend and early next week. No massive storms on the horizon, like the one that hit Tahoe last week, but the Pacific Northwest could see a few storms in the coming days.